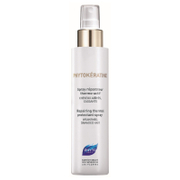 PhytoMist is a leave in conditioner that restores shine and suppleness to your hair after only one application. Delicately fragrant and pleasant to use, its main ingredient of Lotus flowers help to hold moisture in the hair. 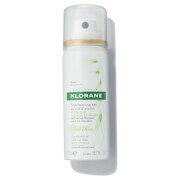 To repair the hair of any damage it contains Hydrolysed Keratin. 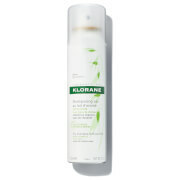 This conditioner instantly detangles knotty hair and preserves the hairs radiant colour. Water / Aqua (Eau Purifiée), Glycerin, Cyclomethicone, Amodimethicone, Trideceth-12, Cetrimonium Chloride, Helianthus Annuus (Sunflower) Seed Extract (Tournesol), Dimethicone, Oryza Sativa (Rice) Bran Extract (Riz), Nelumbo Nucifera Flower Extract (Lotus), Althaea Officinalis Root Extract (Guimauve), Calendula Officinalis Flower Extract, Hydrolyzed Rhodophycea Extract (Algue Rouge), Propylene Glycol, Oleth-5, Hibiscus Sabdariffa Flower Extract, Peg/Ppg-18 / 18 Dimethicone, Laminaria Digitata Extract (Laminaire), Panthenol (Provitamine B5), Hydrolyzed Keratin (Hydrolysat De Keratine), Hydrolyzed Algin, Pvp, Polysorbate-20, Linoleic Acid, Linolenic Acid, Oleic Acid (Acides Gras Essentiels), Fragrance / Parfum, Citric Acid, Diazolidinyl Urea*, Phenoxyethanol*, Parabens (Methyl, Ethyl, Propyl, Butyl, Isobutyl)*.